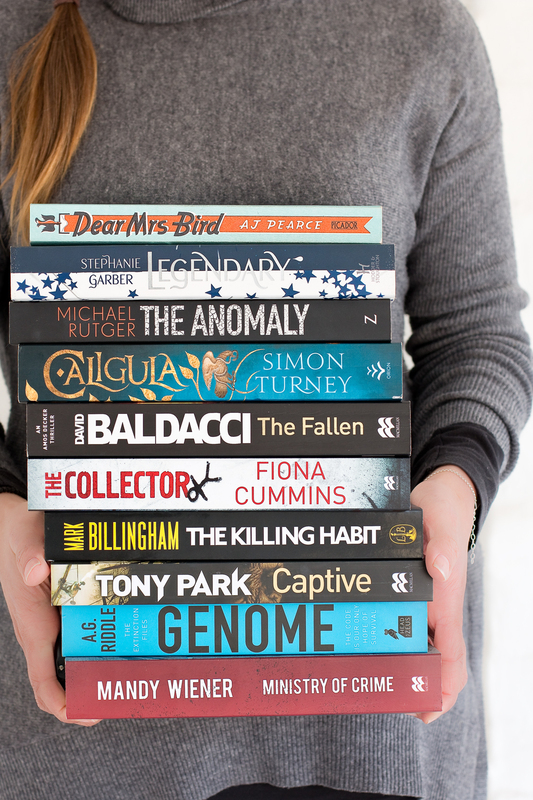 A little while back I shared Part 1 of my Winter Book Club, and today I have the second instalment of fabulous reads to keep you cozy while we brave the last few bits of the cold season. 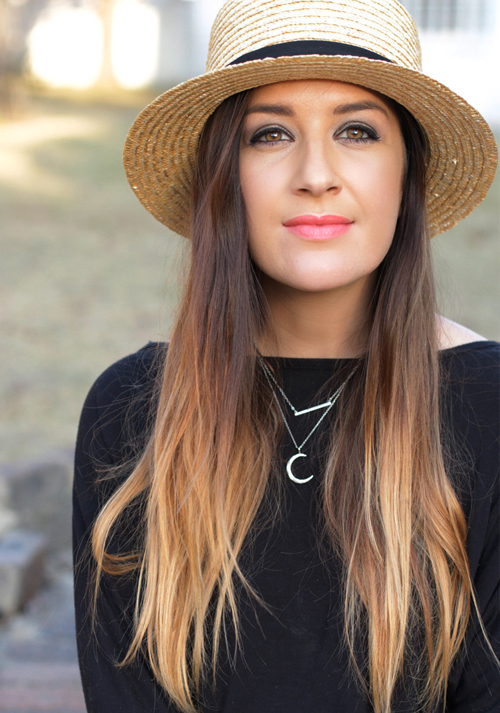 Are you excited for Spring? I sure am, even though I’m going to miss those lovely fireplace sessions tucking into a juicy novel. Today’s book feature focuses on 10 novels to look out for. Five of which we have read and five of which we’re still getting too, but would make for great cozy time reads. I absolutely LOVED Legendary by Stephanie Garber! I loved the characters, I loved the setting, I loved the fantasy and all the magic within these pages! It was one of those books that allowed me to really escape into another land. If you’re a fan of fantasy fiction, you probably already know that LEGENDARY is the second book for the CARAVAL trilogy. This time, the story focuses on the second sister, Donatella “Tella” Dragna, who in the first book managed to escape her father and save her sister from a disastrous arranged marriage. 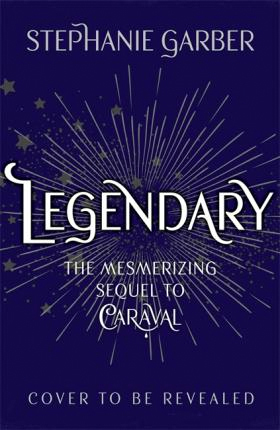 Now I must confess, I read LEGENDARY without reading book 1, CARAVAL and even though it follows the story I didn’t feel like I was missing a whole chunk of the story since I started with book 2. However, after reading LEGENDARY, I now want to sink my teeth into CARAVAL – sometimes you’ve just gotta go backwards :). So, even if you’re starting your escape into the Game of Caraval with book 2, you will be in for a treat! 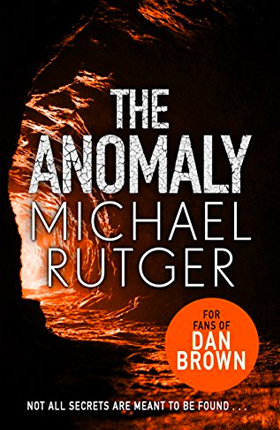 So, I don’t really enjoy thrillers all that much, but I was instantly intrigued by The Anomaly by Michael Rutger for one reason… The sticker on the book said “For Fans of Dan Brown”, and since I loved Dan Brown’s ORIGIN so much last year, I decided to give this one a read. Turns out, I was hooked! It’s a book about adventure, discovery, deceit and the will to survive! Honestly, what’s not to love? The story follows a crew of Youtube “adventurers” who set out on a discovery mission to uncover the legend of Kincaid’s Cave. Is it real? Does it exist? Well that’s what Nolan Moore and his crew aim to uncover, while documenting the experience for his Youtube subscribers of The Anomaly Files. It started a bit slow for me, trying to digest all the “cave-talk”, but as I turned the page to Chapter 17 I became engrossed in the story. By the end of Chapter 24, I could not put it down! It had me on the edge of my seat and even though I thought I had predicted what was coming next, it surprised me every time! The Anomaly reads like a movie, and it’s no wonder since the author, Michale Rutger (whose real name is Michael Marshall Smith) is not only a Novelist with a few books under his real name, but he is also screen writer, so he’s really perfected the story telling to make you feel like you’re watching the events unfold. Besides the fantastic story telling, like Dan Brown’s Origin, The Anomaly is a work of fiction but has references to historical legends that exist outside of fiction. As soon as I finished reading it, I became fascinated with everything to do with G.E Kincaid and reading more stories about Kincaid’s adventures in the Grand Canyon. Would I ever want to trek into those treacherous caves? Absolutely NOT! HAHA. 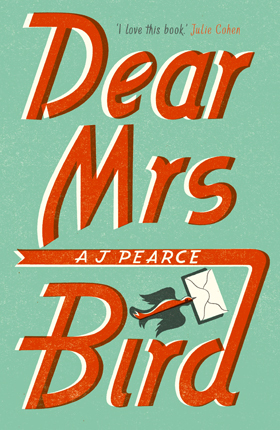 Set in London in the 1940’s Dear Mrs Bird by AJ Pearce is a charming little novel that will warm your heart. Emmeline Lake (Emmy) applies for a job at The London Evening Chronicle in the hope to become the War Correspondent that she’s always dreamt of. However, as many of us can relate – when starting our careers and trying to “get our foot in the door” – Emmy finds herself at a subsidiary publication of The Chronicle, working as an assistant-slash-typist for Henrietta Bird. Mrs Bird is the fierce (and quite honestly arrogant) editor of a women’s magazine, and in the time of war, Mrs Bird is very clear about not responding to any unpleasant reader letters. Emmy’s job is to sift through and send any “Unpleasantness” straight to the trash. The unpleasantries are not quite what you think! 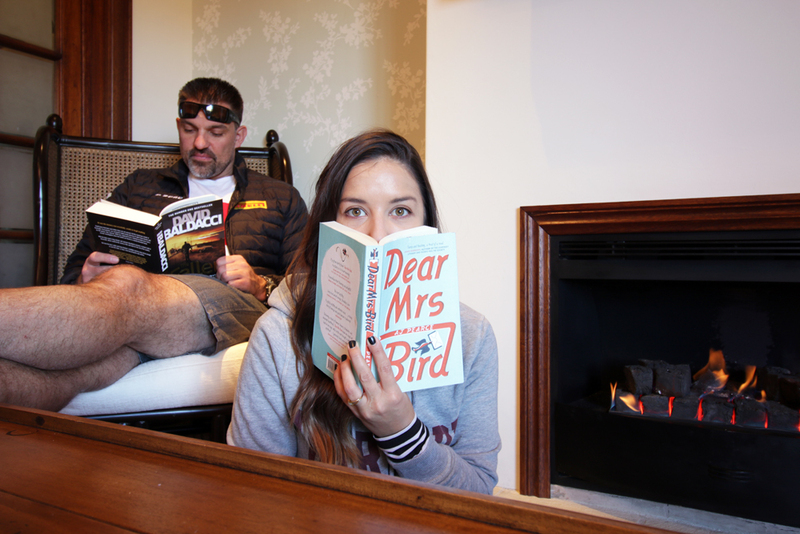 Mrs Bird basically thinks that anything to do with anything does not deserve a response. But Emmy can’t seem to help herself when she reads letters from Women who are in need of advice, so she takes it upon herself to respond to these letters, signing them as Mrs Bird. While Emmy lives her life, each chapter interjects different readers letters which give you a much better understanding of the survival, hardship and horrors that were present during WWII. We think times are tough now, but you’ll wonder how anyone survived under those harsh conditions, while at the same time trying to live their life. It was a different kind of read for me – not usually what I would gravitate towards, but an insightful, charming read that allowed me to get a taste of Emmy’s life and how important the kindness and compassion from fellow human beings was, especially during this difficult time that was a reality for so many. The fourth instalment in the Amos Decker series, follows Amos and his partner Alex Jamison as they attempt to get some vacation time whilst visiting Alex’s family. The vacation time however does not materialise as they are drawn into a murder investigation. Baldacci does a masterful job of bringing Amos’s personality through and further developing his character. 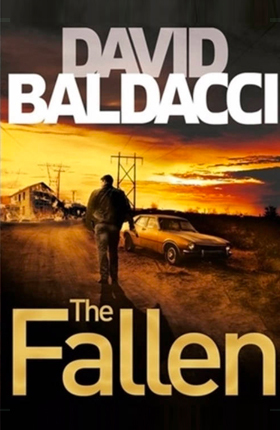 Set in a small town, suffering from decades of decline, the plot is rather complex with many characters and sub-plots, however Baldacci successfully weaves the “fallen” theme into multiple threads of the story. This is a must read for any Baldacci fan. An interesting perspective of the story of Caligula. History is almost always written by the victors, and many of the most reviled characters in history are often portrayed in a one-dimensional fashion. The story of Caligula is a different take on this. I felt the pace to be a little slow at times, but to be fair, a different pace would not have been suitable, as the story unfolds over multiple decades. 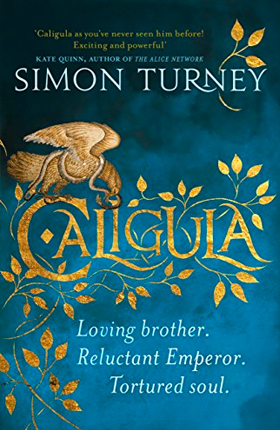 Told from the viewpoint of Caligula’s loving sister, the story explores the themes of how circumstance and events fundamentally change our humanity, and that the “accepted version” of history almost never tells the full story. If you’re into twisted thrillers that have you too scared to turn off the light, then this is your next read! I was already (too) creeped out after reading only the first chapter, but I don’t enjoy twisted stories – they mess with my head and I believe this one would have given me nightmares for ages! However, if this is your thing and then be sure to look out for this one, which David Baldacci called “A crime novel of the very first order”. From the acclaimed author of Killing Kebble, Ministry of Crime explores the underworld of South Africa’s most ruthless, well-connected bandits. With new revelations about high-profile, unsolved hits and the intricate relationships between known criminals and police officers, it delves into the current power struggle between opposing factions in Cape Town’s security industry and the suspected involvement of state operatives in the bloody standoff. For fans of Science Fiction and Thrillers, book 2 of The Extinction Files takes Dr Shaw on a sunken submarine beneath the Artic Ice in search of the culprits and the cure for a sophisticated nanotechnology that has the potential to enslave all of humanity. She goes deep into humanity’s past, towards an ancient secret, encoded in our DNA and a revelation that will re-write history.